Eco-Friendly Brother TN350 - Remanufactured Brother TN-350 Black Toner Cartridge | TonerGreen - Eco-Friendly Toners from the U.S.
TonerGreen is an environmentally-concious online store that has been providing environmentally responsible printing solutions such as eco-friendly toner cartridges and eco-friendly ink cartridges. Including in this selection is their wide selection of eco-friendly remanufactured Brother toner cartridges that are expertly built by our professional technicans to make sure that they can meet the standards set by the printing industry. Included in its selection of eco-friendly Brother toner cartridges is the Eco-Friendly Brother TN350 - Remanufactured Brother TN-350 Black Toner Cartridge ($20.00) for Brother HL-2040, HL-2070N, MFC-7420, MFC-7820 and Brother DCP-7020. Our Eco-Friendly Brother TN350 - Remanufactured Brother TN-350 Black Toner Cartridge offers printer users practical environmental solution, world-class service, and the highest quality toner cartridge set at the most competitive price. 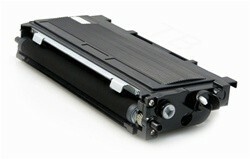 Our Brother TN350 Toner Cartridge is Eco-Friendly! Remanufactured with up to 75% recycled components, our Brother TN350 Toner Cartridge is thoroughly engineered to meet or exceed OEM specifications. All our ink and toner cartridges are backed by 100% Risk-Free Guarantee. TonerGreen's is made from 40-75% recycled parts, staying true to our environmental commitment. But aside from that, our Toner Cartridge are 100% Made in the US. Our factory is supervised by engineers and experienced technicians who are on-hand to monitor the effectiveness of the remanufacturing process. Furthermore, each TonerGreen Toner Cartridge is tested for output quality, and comes with 2 Year warranty. We make sure you that using our Toner Cartridge will NOT void your printer warranty. TonerGreen's primary product li`ne includes U.S.-made remanufactured toner cartridges and remanufactured ink cartridges that are expertly built by our professional technicans to make sure that they can meet the standards set by the printing industry. Not because they're remanufactured or recycled doesn't mean they are of low quality. Our products are not just ordinary recycled toner cartridges because recycling is just a small part of the meticulous remanufacturing process that our products undergoes, we make sure that they will live up to your expectation while being eco-friendly at the same time.